Online ticket sales have ended, but Session A & B and Designated Driver tickets will be available at the door! The Stone 21st Anniversary Celebration & Invitational Beer Festival is not only the largest craft beer festival in Southern California, but it's also our largest annual charitable event. We're proud to support our community by donating 100% of the proceeds from this event and by promoting a culture of social responsibility, collaboration and involvement. 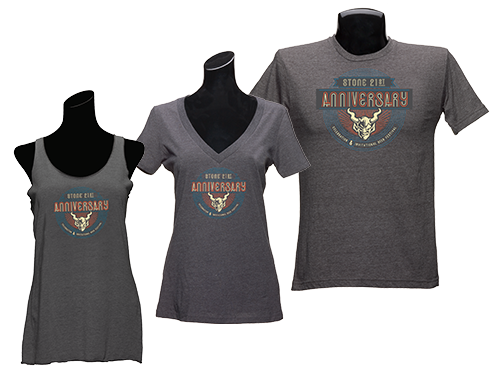 Don’t miss the opportunity to purchase an exclusive event t-shirt and 21st anniversary merchandise during the festival! Cerveceria Wendlandt / Stone Brewing World Bistro & Gardens - Liberty Station "Mexi-Hazy Keep It Lazy"
Stone Brewing World Bistro & Gardens - Liberty Station Notorious P.O.G. Bagby Beer Company Of Kölsch! Smog City Bourbon Barrel Aged O.E. South Park Brewing Colorado Kool-Aid "Coffee and Cookies"
Jimmy and Enrique - Music can be described as an international flair as they incorporate flamenco, middle-eastern, salsa, calypso, brazilian & other world rhythms into their compositions & arrangements. Euphoria Brass Band - A San Diego based musical collective that serves up a contemporary mix of old school New Orleans traditional brass band jazz, funky street beats and new school edginess with a West Coast feeling! Caskitt - A unique three-piece punk rock band from San Diego. The Creepy Creeps -San Diego’s iconic local garage surf-punk band! ...And they are gone! Rare beer is officially sold out! Destignated Driver Tickets will be available at the door. Private Tastings are Sold Out! An awesome $15 upgrade to your day, with 100% of proceeds going to charity. These are intimate hangouts in air-conditioned classrooms with Stone Brewing's Greg Koch. You'll be treated to samples of two hand-selected beers chosen by Greg and of course get to chat with him about the awesome beers he has chosen. Private Tasting tickets are a special add-on and must be purchased in combination with a RARE BEER ALL-ACCESS or SESSION A or B ticket. The option to attend Saturday Private Tastings, a $15 upgrade to your day featuring Stone Brewing Executive Chairman & co-founder Greg Koch. Brewery Tours of San Diego is providing round-trip transportation to the Stone 21st Anniversary Celebration & Invitational Beer Festival on Saturday August 19th for both Session A & B. They are offering pickups at The Local Downtown & at The Old Town Transit Center for $30 roundtrip (not including gratuity for your driver). Tickets are available here. Ride with Lyft and get to and from the festival safely! Use the code STONE21ST for 21% off two rides to/from CSUSM for both new and existing users! Valid for up to $5 off each ride both Friday and Saturday. If you drive yourself to the festival, your car will not be ticketed or towed. You have until noon the following day to move it. You can make it from downtown San Diego to the festival in under 2 hours for less than $5! You’ll be surprised at just how affordable–and convenient–public transportation is nowadays. To support you in making this wise choice, we’re providing a free shuttle from the CSUSM Sprinter station to the “front door” of the festival. Friday: The shuttle will run continuously from 5pm-9:30pm. Saturday: The shuttle will run continuously from 12pm-9:30pm. SDMTS’s new Rapid bus line travels solely on the 15 freeway and costs only $2.50 one way. Take the Rapid to the end of the route at the Escondido Transit Center. From the Transit Center you can jump on the Sprinter train and make it to the CSUSM stop in 10 minutes for only $2. From there, hop on our free shuttle that takes you right to the festival entrance. Take the Coaster train that travels between downtown San Diego and the Oceanside Transit Center (prices range from $4-$5.50). At the Oceanside Transit Center, switch to the Sprinter train and you’ll be at the CSUSM stop in under 45 minutes for only $2. From there, hop on our free shuttle that takes you right to the festival entrance. Take the Metrolink train to the Oceanside Transit Center. At the Oceanside Transit Center, switch to the Sprinter train and you’ll be at the CSUSM stop in under 45 minutes for only $2. From there, hop on our free shuttle that takes you right to the festival entrance. Keep in mind that since this is a charity event, all the beer at this festival was donated. Yes, every keg and bottle that gets poured Friday night and Saturday no matter how rare, is generously provided by our craft beer compatriots for the cause. Also adding to the occasion are the artisan food makers who share their craft with all of you, along with the local homebrewers who serve their ice-cold sodas all day long. Lastly, we have to salute all the volunteers who pour beers and work alongside Team Stone. To all of our friends, fans and compatriots: Thank you so much for your generosity. Cheers!  The festival is the largest charity fundraiser we hold, with 100% of the ticket proceeds going to charity. Over the years, this festival has raised a total of over $2 million for charity. For all the charities involved, this event garners the largest single donation each receives year after year. That’s right—they count on your altruistic beer drinking, and every glass you raise this year will help make our community and the world at large a better place. Sorry, no infants, children or pets. Breweries, beer list, and vendors subject to change. Every festival we turn someone away for not having a valid ID. Don't be that person. BRING YOUR ID! PLEASE NOTE: We will have plenty of chilled water on hand, so leave your single-use bottles at home. Our festivals are meant to showcase amazing beers in a jovial setting for likeminded people to enjoy them. We work hard to make each one a positive experience for everyone. Your safety is in everybodys best interest; as such California law prohibits us to serve any obviously intoxicated guests.